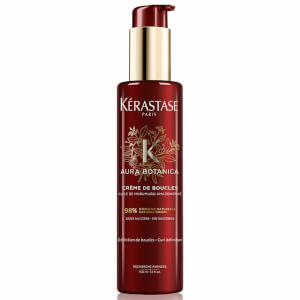 Revive dull, lack lustre hair with Kérastase Aura Botanica Bain Micellaire Shampoo, a gentle, aromatic formula from the brand's natural haircare collection. Aqua / Water, Coco-Glucoside, Coco-Betaine, Sodium Lauroyl Sarcosinate, Glycerin, Cocamide Mipa, Sodium Chloride, Brassicamidopropyl Dimethylamine, Sodium Benzoate, Salicylic Acid, Caramel, Linalool, Citronellol, Argania Spinosa Kernel Oil, Cocos Nucifera Oil / Coconut Oil, Citrus Aurantium Dulcis (Orange) Peel Oil, Sodium Hydroxide, Citric Acid, Parfum / Fragrance. 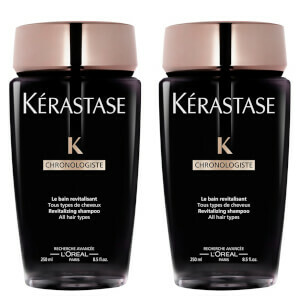 This shampoo is amazing, it is both sulfate and silicone free with natural ingredients, which I like. 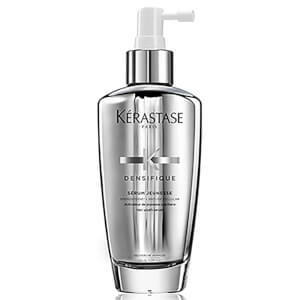 Natural shampoos can make the hair feel odd and stiff compared to standard shampoos, but this is normal for this type of shampoo. The conditioner rectifies this. Once dry the hair is shiny, soft and has a lot of movement. 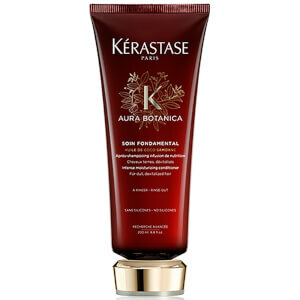 The ingredients are excellent and improves hair health rather than masking damage. This also eliminates any frizzy-ness.